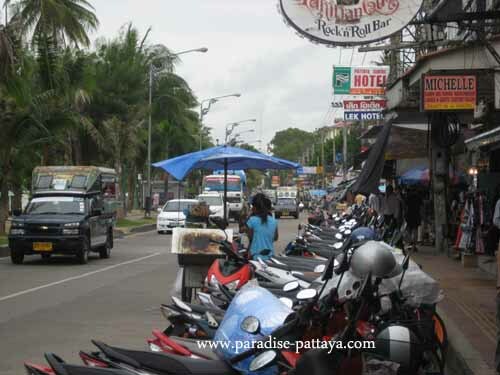 These images of Pattaya Beach Road have been taken in September 2008. It was raining about every other day but it's not too hot. A great time since there were so few tourists. 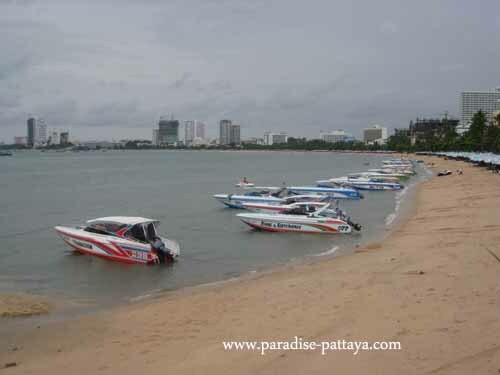 On weekends you always have Thai people from Pattaya and surroundings and from Bangkok visiting Pattaya and Jomtien. 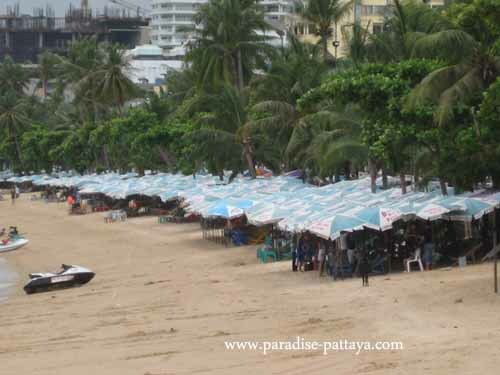 For families I would suggest Naklua or Pattaya Jomtien beach. On this Promenade the numbers of freelancer prostitutes seems to have increased. 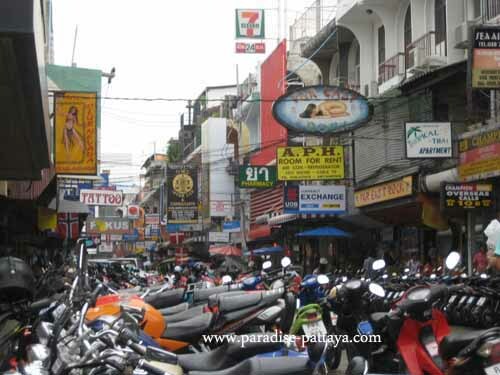 Most of these girls are waiting for customers between Central Pattaya and Walking Street. One of the many statues along the promenade on Beach Road. Somebody found a bed partner there. 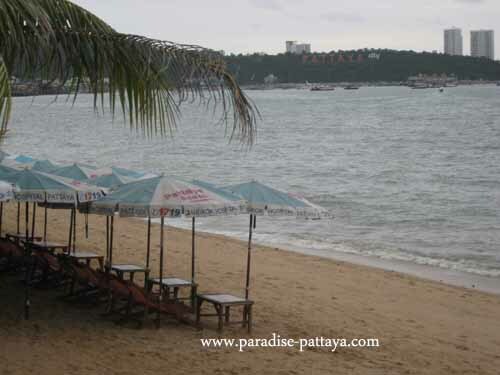 Looking at Pattaya Beach from the beginning of the Beach close to Walking Street. 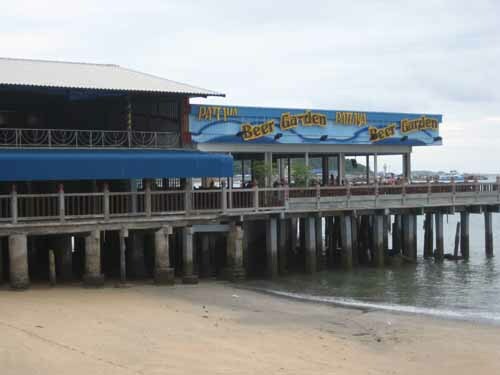 The Beer Garden at the very end of Pattaya Beach on the east side. You can enter the beer Garden from Beach Road close to Walking Street entrance. View of Pattaya Beach from Pattaya Beach. Looking at Naklua in the back. Boats are for hire here for day trips, wakeboarding, parasailing and any other water sport activity. Hardly anybody on the beach in September. 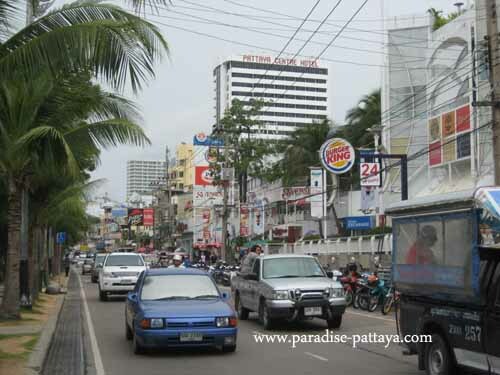 In the back you see the huge sign of Pattaya City. 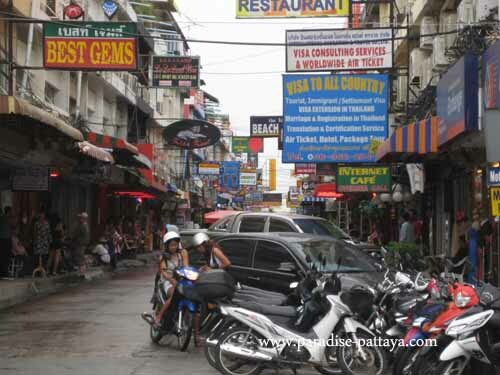 There are an estimated 5000 condominiums being build in Pattaya at the present time. 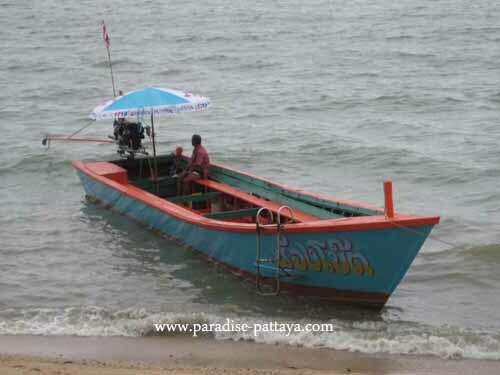 An older longtail boat anchored at Pattaya beach. Maybe the owner is taking a break? Perhaps you can hire it for the day. In the back you can see the Pattaya Water Tower. Deck chairs, tables and boat are waiting to greet you if you want to take a quick break. 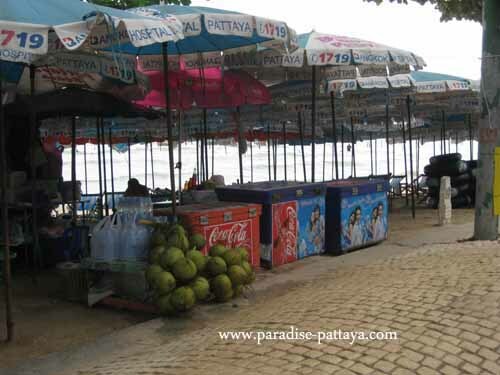 Another view of the promenade at Pattaya Beach Road. Plenty of photo-taking opportunities with the 'Pattaya City' sign or the island. Looking at Walking Street during daytime when traffic is allowed on Walking Street. From evening until the next morning Walking Street is closed to vehicles. 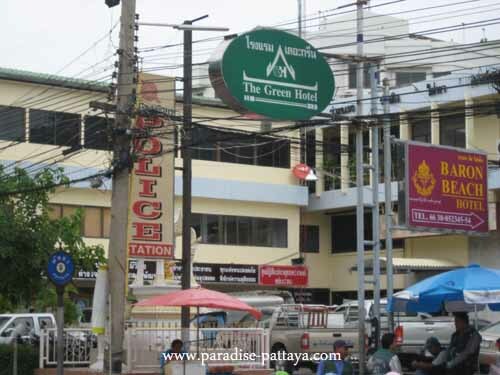 Pattaya Police station on Beach Road and Soi 9. Hopefully you won't need them but now you know where they are located. 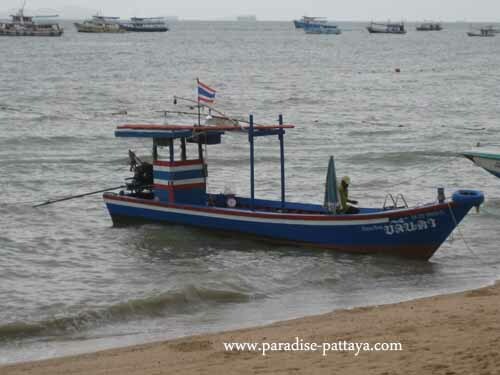 Large Long Tail Boat anchored at Pattaya Beach. And yet another boat owner taking a little break. The heat of Thailand sure makes you want to rest. View of the road from the beach. This road is a one way road from west to east. rented too. 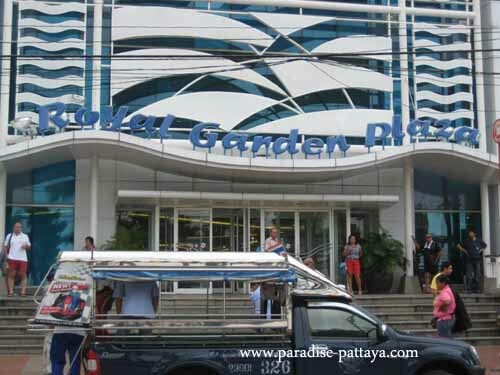 Pattaya Beach Road Entrance of Royal Garden Plaza. Great shopping here...especially the bookstore. Ripley's is on the 4th floor. 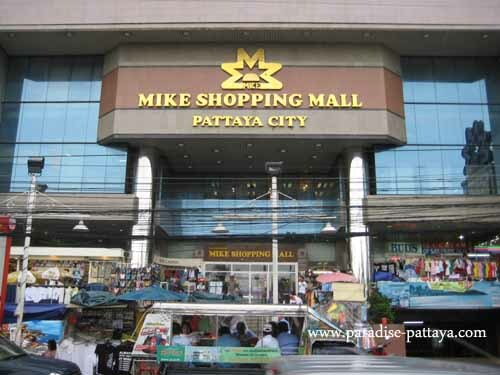 Mike Shopping Mall Pattaya City. Another great shopping mall in Pattaya. 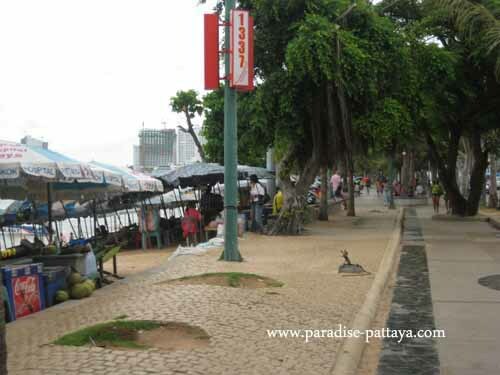 View of Pattaya Beach Road from opposite the promenade. This Road can be very busy during high traffic hours. Hard rock Cafe and Hard Rock Hotel on Beach Road. You can always "get the T-shirt" if that's something you're into. 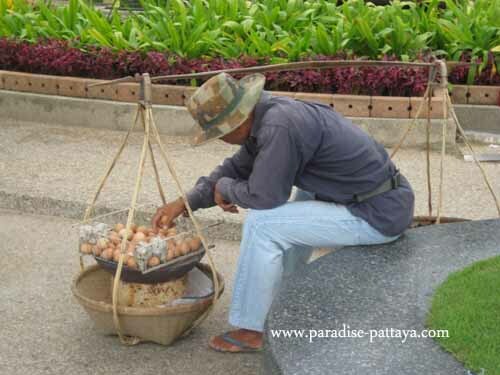 Food vendor on Beach Road Promenade counting his eggs or taking a break. 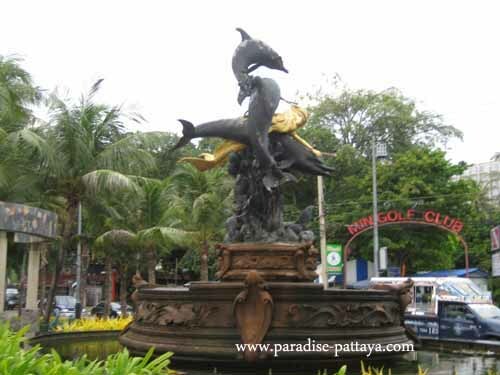 Dolphin Fountain at Central Pattaya and Beach Road. This is pretty much the middle of Beach Road. This is the beginning of Beach Road on the Naklua side. 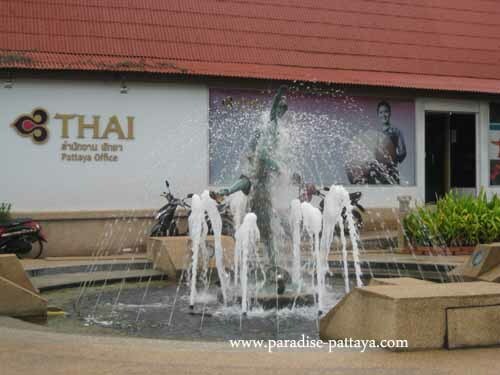 The fountain is in front of the Thai Airways office. A typical Deck chair and sun umbrella business along Beach Road. Coconuts, bottled water, beer, soft drinks are kept cool in the coolers. Thai Massage parlor alongside beach Road. You can also enjoy a massage on the beach. View of entrance of soi 6 from beach road. Soi 6 is famous for it's gogo bars and adult entertainment. 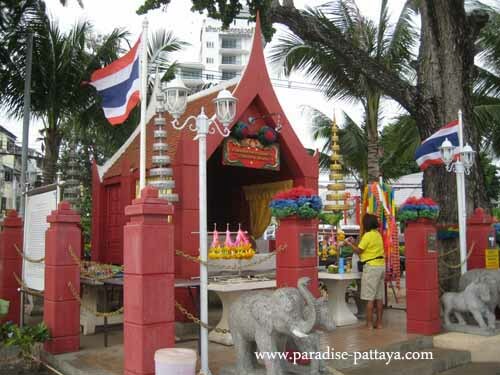 A small temple on beach road past Soi 6. It's always nice to walk by those. You can stop for a moment and appreciate that you're in Thailand now. Here are a lot of adult entertainment as well if ever you're in the mood. 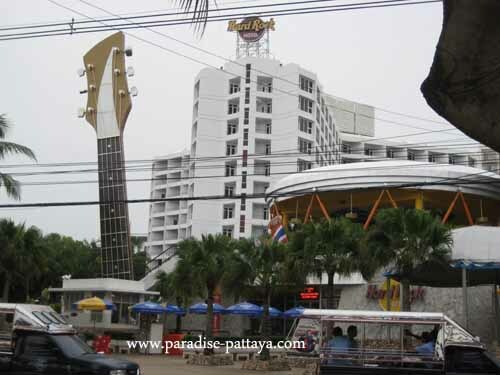 It's just as wild during the day as it is during the Pattaya nightlife.